A FAMILY ENCOUNTER WITH RUSSIAN ART LED JOHN AND KATHY WU RDEMAN TO CREATE A PIONEERING PRIVATE ART COLLECTION IN VIRGINIA - WITH A PARTICULAR EMPHASIS ON RUSSIAN REALISM AND THE PLEIN AIR TRADITION. LARGE PRIVATE COLLECTIONS HAVE OFTEN FORMED THE BASIS FOR FUTURE ART GALLERIES AND MUSEUMS - THE NAMES OF PAVEL AND SERGEI TRETYAKOV, IVAN MOROZOV AND SERGEI SHCHUKIN, ANDREW MELLON AND SAMUEL KRESS, ALEXEI BAKHRUSHIN AND LEVKIY ZHEVERZHEEV, EDOUARD ANDRE AND NELIE JACQUEMART, SOLOMON GUGGENHEIM, HENRY FRICK AND PETER LUDWIG ARE ALL TESTAMENT TO THAT PHENOMENON. 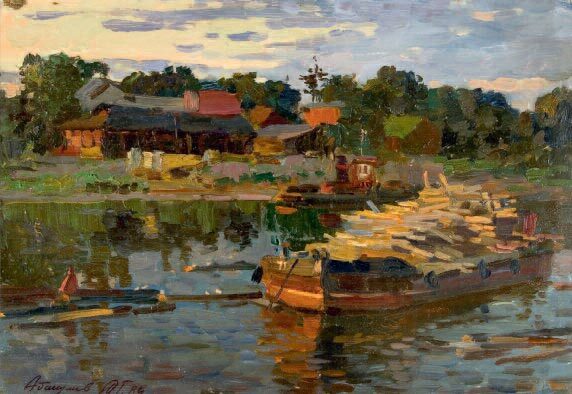 AMONG CONTEMPORARY PRIVATE COLLECTIONS OF RUSSIAN ART OF THIS KIND SOME, LIKE THAT OF SLAVIST RENE GUERRA IN FRANCE, ARE WELL KNOWN, WHILE OTHERS ARE STILL WAITING TO BE POPULARIZED AND STUDIED. The Lazare Gallery, located in picturesque woodlands on the lames River in Charles City County, not far from Richmond, the capital of Virginia, is the result of the enthusiasm of John Wurdeman IV and his wife Kathy, its founders and owners - the gallery is named in honor of their eldest grandson. When the Wurdemans' son Jonathan (John V) studied at the Surikov Art Institute in Moscow, his parents encouraged and closely followed their son's development as an artist, discovering in the process the works of the remarkable masters of the Moscow School of Painting, who taught at the Surikov Institute, as well as their like-minded colleagues from the Russian Union of Artists. Realist art is at the centre of the Lazare Gallery's collection, both aesthetically and in quantity, and mostly represented by the works of Russian artists. Among the new gallery's first acquisitions were paintings by Vyacheslav Zabelin, Mikhail Abakumov, Olga Svetlichnaya, Gennady Korolev, Yury and Mikhail Kugach, Nikolai Dubovik, Olga Belakovskaya, Nikita Fedosov, Ivan Sorokin, Nikolai Ponomarev, Viktor Tsyplakov, and others. 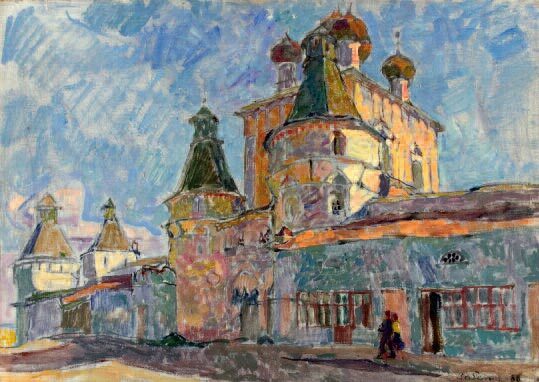 Having started their collection with artists whose names were suggested by their son, the Wurdemans began to look for the art of those masters who had already firmly established their places in the history of Russian art. 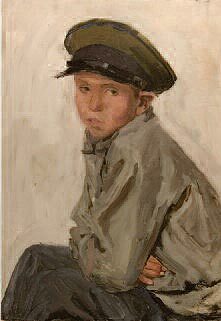 Thus, the Lazare Gallery acquired pieces by Sergei Gerasimov, Pyotr Petrovichev, Arkady Rylov, Arkady Plastov, Gavriil Gorelov, Porfiry Krylov and Mikhail Kupriyanov - all brilliant representatives of the Russian school of painting. 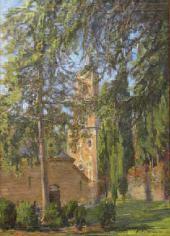 Eventually, John and Kathy Wurdeman moved from mere collecting to popularizing the art of those masters with whose work they identified aesthetically; they started organizing plein air workshops and master classes for American art lovers, and the scope of their interests and educational activities kept growing. They went into publishing and began bringing together artists and art lovers for discussions. The Lazare Gallery, originally located in Richmond, the capital of Virginia, in a 19th-century bank building, has been operating for almost 15 years now. The collection and the high professional quality of the works it houses evoke lively and thoughtful interest from art lovers and experts alike. The couple from Virginia has created a "bridge" between contemporary art in Russia and the United States. The Wurdemans own the largest private collection ofVyacheslav Zabelin's art, and also initiated the publication of the most extensive monographic album dedicated to this remarkable Russian artist - it provides a retrospective of the master's heritage and gives a comprehensive analysis of his contribution to contemporary realist art. Before the Wurdemans committed themselves exclusively to their gallery and collecting art, they had another art-related business: making prints from antique etchings. John and Kathy used the funds they made from print-making to build their gallery and purchase paintings, as well as organize plein air workshops for participants from all over the United States. The Lazare Gallery offers guest rooms and an overall environment essential for productive, exciting and inspired work, in a setting that both amateurs and professional artists appreciate. There are regular "open house" events, and visitors are not only welcome to view the gallery's exhibition, but also explore the scenic surroundings of the Wurdeman estate. Why did the owners of the Lazare Gallery choose plein airwork-shops as their preferred activity? In their own words, the living, immediate experience of nature, of the environment and its changing conditions, of sunrise and sunset; the feeling of air, space and the moods of each season - all these things inspire with a special emotional energy. Staying close to nature is an essential, inherent part of our existence. Initially, the Lazare Gallery focused on the landscape genre; however, it does not mean that the Wurdemans have no interest in composition painting, portraits or still-lifes. 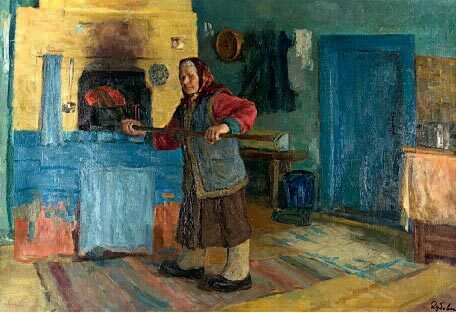 Zabelin's art was at every level a match to the new collectors' broad interests: they were enchanted by the poetic Russian landscapes which Zabelin painted during all seasons, by the echoes of the patriarchal way of life in Russian provinces, by the depictions of the everyday life of ordinary people, and the special charm of small provincial towns. Certainly, they appreciated the artist's unique palette and the mesmerizing lyrical tone of his paintings. Fairy tales and true stories, the past and the present are beautifully brought together in Zabelin's canvases. 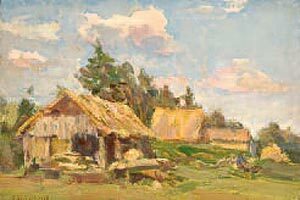 The artist's fluid strokes, the subtlest nuances of colour, his modeling of space through the use of light and shade - they all convey Zabelin's spirited, exuberant perception of the world, and his works became the gem of the Wurdemans' collection. Year after year new and noteworthy works by Russian artists are added to it: soulful, philosophical landscapes by Viktor Tsyplakov and Mikhail Abakumov, beautiful nocturnes by Nikolai Dubovik and Olga Belakovskaya, vibrant canvases by Yury Kugach and Olga Svetlichnaya, Alexei and Yulia Sukhovetsky, Alexander Danilichev and Mikhail Dobroserdov. 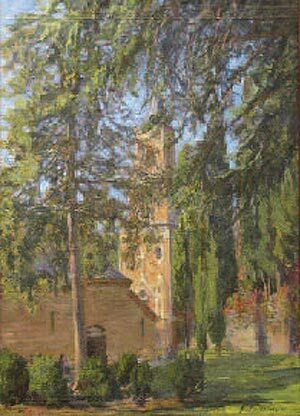 The work of Jonathan (John V) Wurdeman, the son of the gallery's owners, includes landscapes that follow the traditions of the Moscow School of Painting and the fundamental professional culture of the Surikov Institute, coupled with the artist's own temperament and distinctive worldview. 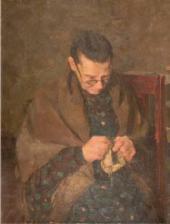 More recently, Jonathan Wurdeman has been living in the Republic of Georgia, where he has bought some vineyards, so his new paintings include many genre scenes from the life of winemakers and local villagers. The Lazare Gallery collection is constantly being updated, first and foremost thanks to the plein air workshops and master classes by Russian artists who visit on the gallery's invitation. With the collection's expansion, the layout of its exhibition is periodically renovated. The Lazare Gallery works in active cooperation with various periodicals dedicated to art and culture, principally "PleinAir Magazine", published by Eric Rhoades. The magazine publishes articles about acclaimed masters of landscape painting, as well as current exhibitions, along with advice to beginners and amateur artists. 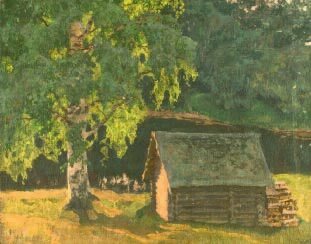 On numerous occasions the magazine has published overviews of the plein air workshops organized by the gallery. Despite difficult economic times, John and Kathy Wurdeman are optimistic about the future, including making new plans with the contribution of their son Jonathan. The very creation and existence of collections and galleries that are associated with Russian culture form an important part of the Russian-American cultural dialogue and contribute to broadening the mutual understanding of the two nations' cultural life. In this post-industrial era, at a time of multimedia and nano-technologies, of new, non-figurative, kinetic and virtual forms of art, public interest in realism has not retreated into the shadows, but is actually gaining momentum for further development. We see changes in techniques, forms, representational styles, emotional overtones, as well as the use of new art media, but the essence of the great realist traditions, their viability and urgency, remain above changing times and geographical borders. 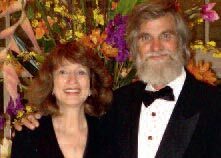 The story of John and Kathy Wurdeman is the story of realist art enthusiasts who for the last 15 years have been working on building relationships with representatives of the Russian fine arts.